Blogging is a hobby for me that takes a lot of my spare time. I work full time and only in the evenings I can find a little bit of time to either create content, edit photos, schedule and share my posts with all of you. When I first started this blog, 4 years ago, I did not know how much time consuming this could be. In fact, I took it very lightly so it wouldn't require much of my time. But, I did not get much from it. Since my last "blogging break", I have decided to invest more of my time (and money, to be honest) and actually try to produce good quality content and as frequent as possible. It sounds a lot easier than it actually is; perfectionist as I am, nothing is ever good enough. But I dare to say I am proud of what I have been posting since last November. 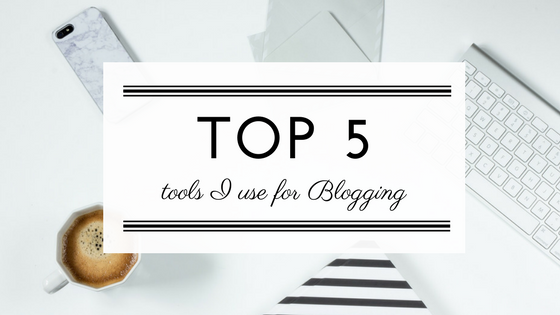 So I thought, today, it would be a good time to share with you my TOP 5 tools I use for blogging. Good posts rely not on just in great content but also in good photos; it's more attractive for the eyes to have a nice photo accompany a text than just some sh*ty smartphone picture. Therefore, some time ago I decided to invest in a good camera that would fit my requests: small, light, easy to work with and with the possibility to exchange lenses. Firstly, I came across the Sony a5100 which I loved but unfortunately, it was stolen from me (read more about it here - post in PT). But there was one thing I did not like about the Sony a5100 was the fact that it did not have a view finder. So, I decided to buy the Sony a6000 and have been in love ever since! The only minus for me is the fact you can't rotate the screen 180° like the Sony a5100 does. In order to edit those photos a bit and go the extra mile that sometimes the camera did not capture (or I wasn't able to set it correctly), I use Lightroom software. I do have a membership (12.29Eur/month) which allows me to use Photoshop as well, but so far I did not adventure in its world. Lightroom is just so easy for me to use, even though I still have a LOT to learn, but so far I am super happy with it. I do not edit my photos too much because I want them to remain real and true. In order to reach a larger audience on social media platforms, I use the app Buffer which allows me to schedule posts, as many times a day as I wish and as in advance as I want. You can get it for free but it has some limitations on the number of posts you can schedule in advance, so I got the membership for only 10.00US dollars/month. It takes me a couple of hours to schedule all my SM for the whole week! Totally worth it! With Canva you can just make nice photos to use wither on your blog or also on your social media posts. I use it all the time to announce new posts; a nice background picture with cute fonts on is just so appealing to the eyes! I use it for FREE and the options are endless!!! 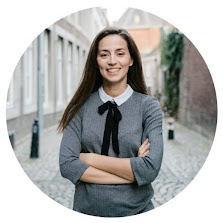 And last but not list, I recently made an account on MailChimp for FREE which allows me to send personalized emails to my subscribers, send them my latest posts directly to their email, share exclusive content with subscribers and many more options. Would you like to join? I have some surprises coming up! Just enter your email below and follow the instructions; it won't cost you a thing! So, as you can see, it takes quite some stuff, time, effort and a bit of money to do blogging the way I like. Hope you liked this post and if so, leave your comment below and feel free to share it. If you are a blogger as well, tell me: what would be your TOP 5? You're most welcome. Glad you liked the post! Great post! Though I have heard about LightRoom I haven't used it and have no idea how it works. I love Canva it makes things so much easier and the options are endless. Came from the Blast from the Past post. LR is not sooo difficult and there are plenty of tutorials online. Totally recommend it if you want to edit your photos.